We have some BIG, JUICY exciting news coming this week + BLACKFRIDAY BLISS DEALS to light your fire, AND the opportunity for you to not just give some "thing" to those you love this holiday season, but to GIVE WITH SOUL, FROM THE SOUL. Stay tuned for special emails from HeySoul this week & next! Thanksgiving is upon us and there's no better time to get in the spirit. 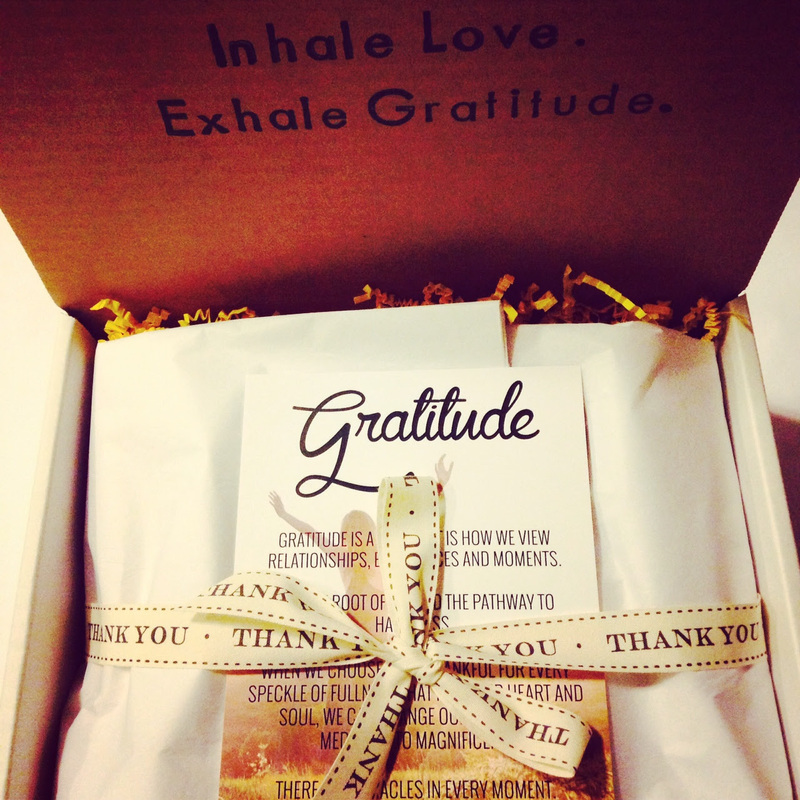 If you haven't feasted your heart on our Gratitude Box, do your beautiful self a favor and take a peek! Say thank you to someone you love or take this journey for yourself. Get your gratitude on right here! Gratitude is calling your sweet, sweet name. First there's the feeling where you have this ah-ha moment, you take a step back and feel a wave of tingle, it's the sensation of appreciating the way life just bear hugged you. BUT THEN comes the opportunity to transform that feeling into words and action. Transforming idea, feeling and thought into action is the spirit of what we do at HeySoul by combining inspirational products with challenges to inspire our community to take action to engage with the theme of the month or maybe meet it for the first time. In the process, the experience creates a playground of self-exploration to connect to a deeper level within yourself. At every step outside the comfort zone, every answer to one of life’s big questions and every “yes” given to a boundary expanding experience, creates change and growth. “Thanks to you and HeySoul, I can officially say that I have been accepted to Grad School!! Thank you SO much for giving me the inspiration to stop making excuses and go for my dreams! If it weren't for your unknowing push to follow my dreams and jump in without fears I would still just be daydreaming of being back in school. Know that the things you say and do really do make a difference. They aren't just words, and I am a perfect example of you really making a difference in the world one little bit at a time!" This probably took her less than 5 minutes to write, but it will stay with me for alifetime. You never know the value of expressing your appreciation for the moments, experiences and people that shift your path in life or just shift your perspective in a day. This comment moved my soul in ways not much else could in this world. In the exact moment of exhaustion and doubt, I was met with the voice of this one beautiful soul jumping up and down for joy saying keep going, keep creating, you are on the right path. This my friends, is priceless. It takes one comment like this to validate that you are in the right place and to trust the universe. I got that message loud and clear thanks to her act of strength and kindness in expressing her gratitude. So give something priceless this Thanksgiving. It won’t come from a store opening at4am, you won’t find it inside that big, ol’ fat turkey, you will find it in your heart and it’s up to you to find a way to take action and express it loud and clear. P.S. We are madly, deeply in awe of your support and love. THANK YOU for all you read, share and support HeySoul. You've made our hearts soar this year and we can't wait to give you more and more an more and more inspiration.